I just finished It’s Not Summer Without You (Summer #2) – Jenny Han and I just start Talented (Talented #1) – Sophie Davis. I got this book as an ebook copy from NetGalley. I requested it a couple days ago and got accepted to read it so I want to get it reviewed as quickly as possible. I’m on page 28 and I’m already really liking it. It reminds me of Evolution (Evolution #1) – Kelly Carrero and I really liked that book as well. These people have powers because of a toxic waste spill that contaminated all the bodies of water on the planet. I think it’s a very cool concept and I’m really excited to read it. There are also others in this series as well and I can’t wait to pick those up. When I finish that novel I will definitely pick up Shadowland (The Immortals #3) – Alyson Noël because I really need to continue on with that series to see if they get better than the second or can top the first. But when Jeremiah calls saying Conrad has disappeared, Belly knows what she must do to make things right again. And it can only happen back at the beach house, the three of them together, the way things used to be. If this summer really and truly is the last summer, it should end the way it started–at Cousins Beach. I really enjoyed Jenny Han’s writing style and I really loved this story. I like that the summer house in Cousins is their place. It’s their real home and as long as they’re all together, it’s for all of them. I love that this book is touching but not cry-your-eyes-out sad. It does get sad at some parts, but then some parts make you laugh. I find myself liking the second books in trilogies better than the first because all the world building is over and you can concentrate on the characters and the storyline and the development of the characters. I love how this book has flashbacks all throughout the story. I really enjoyed this because through the first book there wasn’t many flashbacks and I really enjoy getting to know the characters more and more. I look forward to reading the third and final book in this trilogy. 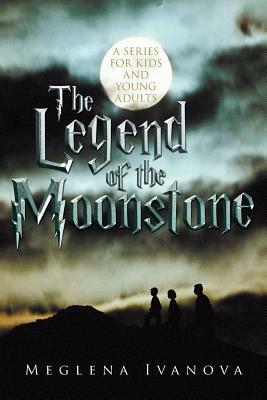 I just finished The Legend of the Moonstone: A Series for Kids and Young Adults – Meglena Ivanova. Check out my review! 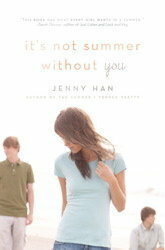 *linked above* I am currently reading It’s Not Summer Without You (Summer #2) – Jenny Han. I really enjoyed the first one and need a quick and light hearted read right now. I finished the first one in a day, so I think I’ll be able to finish this one relatively quick. I’m very excited about this book because, like I said, I loved the first. If I can manage to finish this book before the end of the month, I will pick up Shadowland (The Immortals #3) – Alyson Noël to continue on with the story. When Daniel first met Professor Stransky, he was only fifteen. Daniel was amazed by everything in the hall. All gems and minerals the Professor had exhibited behind the glass panes seemed to bewitch him, and the story of the Moonstone changed his life and philosophy thoroughly. What happened the day they met, predestined events that would have happened anyway, but this was the best way to start them. After his encounter with the Professor, Daniel improved his results and soon was admitted to the University where Stransky taught. It had been several years since the meeting between the mysterious Professor and the boy with extraordinary power. Some very important moments of this meeting were engraved in the memories of both of them, but they seemed to be replaced by others, required by the present. When they met again, the thought of these past memories lurked in their minds as if this meeting had not been fully completed and that gave them no peace day or night. For a long time none of them had remembered their first encounter. While Professor Stransky was telling the legend of the Moonstone, however, something had broken in both of them and they had started tying up the events of their lives that had led to this current moment when the story of The Moonstone was perceived as fact rather than fiction. In this book there was very little character development, and that bothered me a little bit. By page 100 I still didn’t understand the point of the girl even being there. By the end I knew what her point was, though. I liked Professor Stransky because he liked reading and learning. Daniel, although being the main character, didn’t help the story a ton. He didn’t hurt the story, but there wasn’t a huge point for him to be there. By the end of the book I still didn’t understand that Kyle was using Daniel as a host. I thought he was a completely different person. I have no idea why I thought that, but I did. I would be Professor Stransky because he’s my favorite character and he spends his time reading all day. Come on, that would be awesome :) He was my favorite character because he had the most development throughout the book. I knew the most about him. I liked that he likes learning, but who devotes their whole life learning about one stone. That still puzzles me. Wouldn’t you want to do something worthwhile with your life other than be an expert on one simple thing? Big thanks to Meglena for sending me this book! I am so glad that I got to read and review it for you. 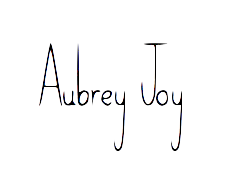 I loved emailing back and forth and getting to know you better! P.S. I think you would be very good in more of a romance genre because the best parts of the book were the romance parts! I love Hazel but I wouldn’t want to have to deal with having cancer. I wouldn’t want my best friend to have cancer either. I wouldn’t want to endure that so I would NOT trade places with Hazel Grace. Emily is a nice character but she has to deal with the Furies and her “true love” doesn’t end up remembering her. I couldn’t deal with the constant revenge. Percy would be fun to be friends with but I would not trade places with him because he’s constantly having people coming after him. I wouldn’t be able to deal with the constant struggle of running away. I wouldn’t want to be Ever because she is so whiny and irritating. I wouldn’t want to be associated with that so I would not trade places with her. I would love to be Cath, but being Cath’s twin sister would be tough because Cath is really needy. Sometimes being needy isn’t a bad thing, like in Cath’s case, but Wren sleeps around and gets in trouble. I don’t think I would like to be Eric because when he is Eric nobody likes him. I would like the shapeshifting kind of thing but would not want to be important in one life and hated in another. I wouldn’t want to be Dimitri because his love for Lissa is forbidden and that would be really hard to deal with because he loves her and she loves him… It’s a lose-lose situation. I would not want to be Kara because she gets rejected and she lives when the apocalypse happens and has to keep moving on with her life after that and I think that would be really strenuous and difficult to deal with.